Alex trained as a geologist, working on problems ranging from volcanic processes to CO2 sequestration and solution mining. With a background in yachting and mountaineering, he transitioned away from academia to expedition cruising and for the last 6 years has been working as geologist and expedition leader in both the Arctic and Antarctic. When not on a ship he can usually be found with skis or sticky rubber on his feet. Brandon grew up in Victoria B.C. on the shores of the Salish Sea. His early passion for marine mammals lead him to a long career in the polar regions aboard a variety of expedition vessels. Brandon has participated in countless expeditions to the Southern Ocean and the High Arctic as an educator, adventure guide, and Expedition Leader. Over the past 20 years, Brandon has demonstrated his proficiency in developing exceptional guest experiences and engaging educational programming. The past decade has found Brandon directing operations for tourism operators, previously as Director of Expedition Operations for Polar Latitudes and currently as Director of Expedition Operations and Program Development for EYOS Expeditions. Brandon was a key partner in developing a dedicated Citizen Science program aboard polar expedition ships, devoting a position on each team to coordinate and maximize guest interaction with citizen science projects. In 4 seasons the program has become the model for integrating citizen science on polar expedition ships. Brandon’s field expertise as a marine ecologist and environmental scientist is supported by a Master of Science in Environmental Practice. Ted grew up in California, whale watching and getting seasick in Monterey Bay from the age of a toddler. He was fortunate to be born into a wildlife expedition tour company, studied tropical conservation biology at Duke University, then was seduced by the glory of polar extremes, leading expeditions to the polar regions for the past quarter century. Ted has been deeply involved in Antarctic tourism management, and has increasingly focused on using citizen science to answer the void of data in these remote waters with the founding of the whale identification and tracking website www.Happywhale.com. When not at work or aboard ship, Ted prefers to be kite surfing, backcountry skiing or rock climbing. Laura trained as a geologist and then spent over 10 years working in marine geophysics. She went to Antarctica for the first time on a sailboat her husband built. The geologist inside desperately wanted to participate in science, but she struggled to find a way to contribute. Having a resource like The Polar Citizen Science Collective would have been her dream back on her first trip south. Laura and her husband, now own and operate small vessels in Antarctica, as Quixote Expeditions; Laura loves getting her guests involved in as many science projects as possible. When not onboard a vessel she spends the southern winter enjoying the snow in Ushuaia and delving deeper into Antarctic tourism management. Annette is a biologist by training and studied habitat suitability of humpback and Antarctic minke whales in the Southern Ocean for her PhD. She not only has a deep passion for whales, but is also interested in the small stuff – such as the phyto-and zooplankton that supports the big marine mammals. She is interested in our understanding of how the different players in the food web work together and how we can ensure the conservation of the beautiful but fragile polar regions in our changing world. Since her first time in Antarctica camping at the base of Mount Erebus, Annette has enjoyed working in the polar regions for 7 years. When not on board a ship, she can be found in Bavaria, Germany either on a bike or with hiking boots on her feet and a camera around her neck on the lookout for the local fauna. Bob (Robert) was born in Chicago, Illinois in the United States, but didn’t stay there long. Ever since he could crawl he was drawn to the natural world. He has enjoyed 18 seasons working in the polar regions and now wishes to help support scientific inquiries in those harsh and fragile ecosystems. Originally Australian, Lauren grew up in the States and has been collecting "homes" ever since. With a background in TV marketing, she spent a decade living in New York City before transitioning to a career in photography. A grand pursuit of adventure took her to Antarctica in 2012 and fast forward, she is now enjoying her 6th year in the polar tourism industry as an Expedition Leader. When not in the polar regions, Lauren splits her time between Canberra, Australia and the Scottish Highlands. Allison was born and raised in Seattle, enjoying all that the rainy Pacific Northwest has to offer and now lives in sunny San Diego as a student in the Biological Oceanography PhD program at Scripps Institution of Oceanography. Prior to her time in graduate school, she spent 10 years as a research biologist combining her love for science and for travel around the world. Her first expedition to Antarctica occurred in 2013, where she lived aboard the US Nathaniel B Palmer for 53-days in the Ross Sea. 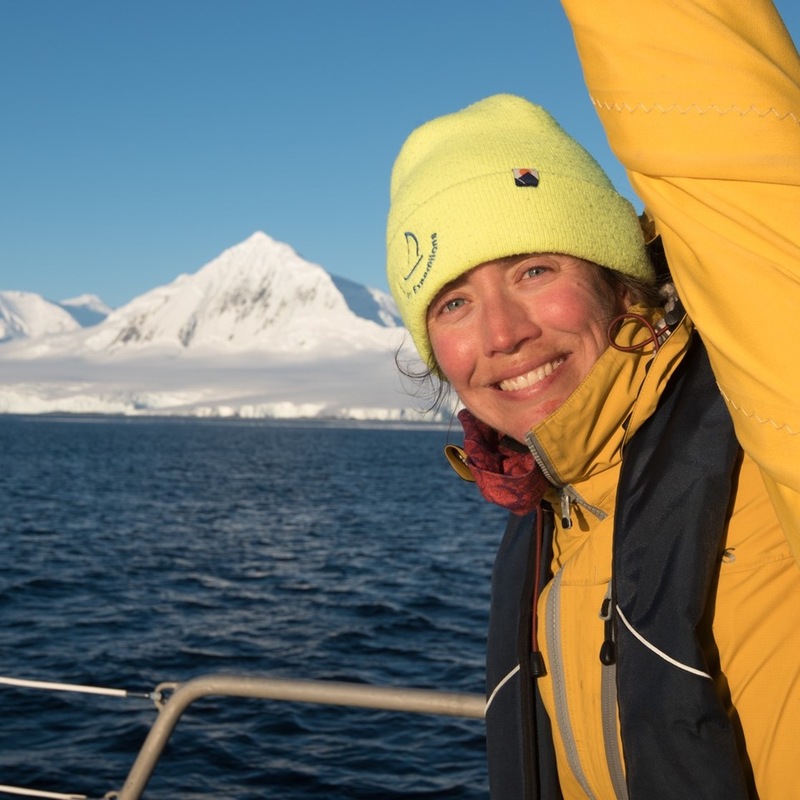 In an effort to share her current research with others, she developed the FjordPhyto Antarctic Citizen Science project in partnership with Dr. Maria Vernet, IAATO operators, and diligent guides. When not doing science you can find Allison traveling, scuba diving, ultra-running, cycling, or drinking a good cup of coffee. Fun Fact - Allison ran a marathon on the Ross Ice Shelf, Antarctica, dressed as a banana, the same day she boarded the Palmer icebreaker for the two-month expedition at sea. Having grown up in the mountains and lakes of upstate New York, Susan developed a passion for the environment around her. As a graduate of Cornell University, she worked with both state and national governments to facilitate environmental education in the area of resource management and Endangered Species re-introduction. 30 years ago, Susan had her first opportunity to go to sea as an educator. First traveling to Alaska she worked as a naturalist and lecture which eventually lead to her becoming Expedition Leader. Susan has lectured and lead expeditions in wilderness areas around the world. She joined the G Adventures Team nine years ago as Expedition Operations Manager and Expedition Leader, and has instituted participation in UNEP Clean Seas initiative. Susan serves on the committees of the polar industry groups, IAATO and AECO to help manage environmentally responsible tourism. Over the years she has helped design guidelines for access to ecologically sensitive areas and wildlife protection guidelines. Additionally, she has just been honored by the United Kingdom British Antarctic Survey for her commitment to responsible tourism in Antarctica with the naming of a cove after her – Adie Cove is on the west side of the Antarctica peninsula. Audrey grew up spending summers on the coast of Maine enthralled with the wildlife and people that live and work in the cold Gulf of Maine ecosystem. “North” became one of her favorite words, and she later spent six summers on the North Slope of Alaska studying Arctic-breeding birds as a PhD student at the University of Alaska Fairbanks. She is now a faculty member in the Department of Geography and Environmental Studies at the University of Alaska Anchorage, and moonlights as the President of the Board of Directors for the Arctic Research Consortium of the U.S., a Fairbanks-based non-profit devoted to facilitating a better connected Arctic research community. Audrey is an active practitioner of citizen science in her research, and a proponent of including data derived from citizen science projects in the polar tourism industry in the effort to build and sustain a global Arctic observing system.